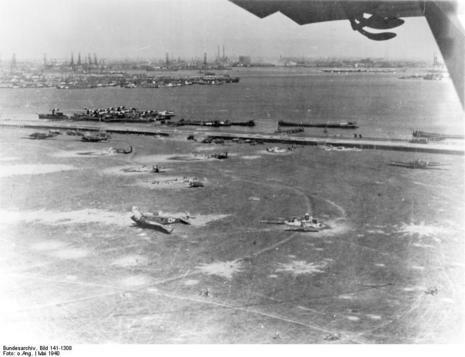 Although the German troops managed to capture the three airfields, they failed in their primary objective of taking the city of Hague and forcing the Dutch to surrender. Accordingly, the Dutch Army launched a counter-attack several hours later. The counter attack was started from Ypenburg. Though outnumbered and relying on ammunition that they had captured from the Germans, the Dutch fought their way into position to launch artillery attacks against their own airfield, causing heavy damage to it. 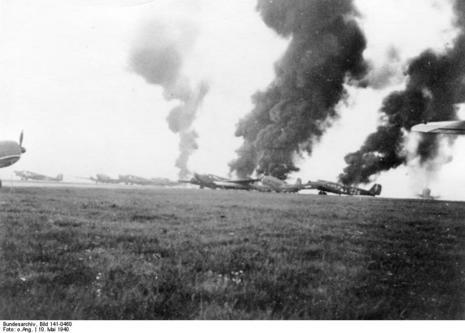 Following the attacks, the German troops were forced to evacuate the airfield's burning buildings, losing their strong defensive position. The Dutch troops were able to advance into the airfield, and in the skirmishes that followed, many of the German soldiers were forced to surrender. Those who did not were eventually defeated. 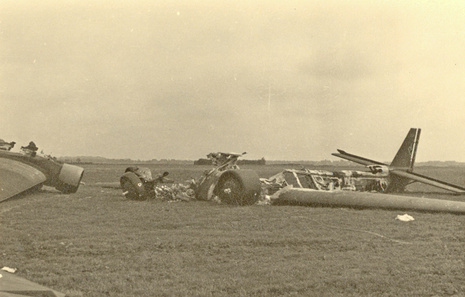 The airfield of Ockenburg was bombed by the Dutch forces. 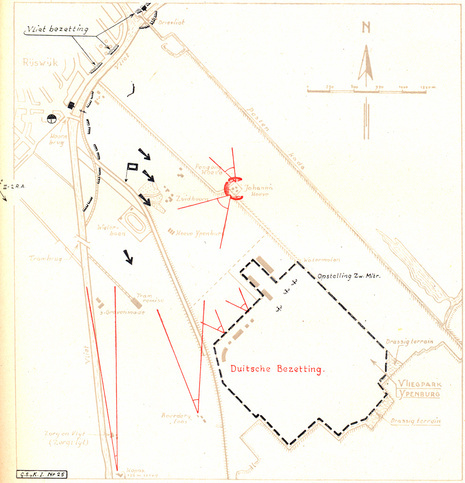 The Dutch troops followed up their own bombing of Ockenburg by storming the airfield. The Germans were forced into retreat, and several were captured. However, some of the German troops withdrew to the woods near the field and successfully defended themselves from the Dutch. The Dutch forces were later ordered to disengage and turn instead to Loosduinen, the Germans headed towards Rotterdam. Having sealed off Leiden, the Dutch retook a strategic bridge near Valkenburg, using only three men. When reinforcements arrived, the Dutch began addressing Germans on the ground at the same time that Dutch bombers arrived to destroy the grounded transport planes. While the Germans attempted to put up a defense at the outskirt of the airfield, they were forced to evacuate. Battles to liberate occupied village positions nearby continued for several hours, but eventually the Dutch forces defeated the occupiers. By the end of May 10, the first day of the battle, Dutch forces had retaken all the captured airfields. The attack on the Hague, the political center of the country, had two purposes: (1) to seize the government and thus paralyze Dutch military activities and (2) to overcome the canal and river defenses located in the center of a series of defendable lines known as Fortress Holland. Germany had established a paratrooper arm in the Luftwaffe early in 1933 as well as an air-landing division that used transport aircraft to assault airfields and then fight as infantry. Hitler’s plan called for paratroopers to jump and seize airfields where German aircraft could fly in reinforcements and supplies; they would also secure bridges to allow panzer and infantry divisions to move up quickly and seize key Dutch cities. The element of surprise, the lack of modern armament in the Dutch armed forces, and the small size of the Dutch army and air force would all lead to a quick and easy German victory.